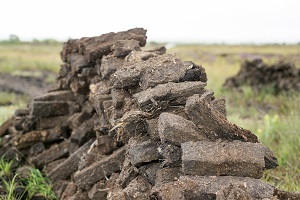 Traditional peat pots are made through a process shown to increase global warming. Gardeners now have a more earth-friendly choice in EcoPaper pots, made from 100% recycled paper. 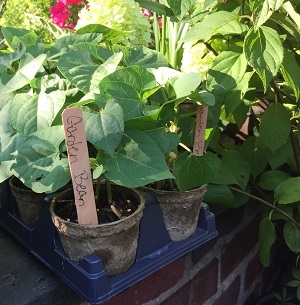 A healthy garden begins with wise environmental choices and gardeners are now realizing that most seed starting pots are not so eco-friendly. Peat pots are likely the worst offender as they are made from material dug out of peat bogs. These important wetland ecosystems purify water; mitigate flooding and erosion; and function as the Earth’s most efficient carbon sink and storehouse. Scientists consider peatlands to be as important to the planet’s health as rainforests. Harvesting peat destroys the bog and releases Co2 into the environment which worsens global warming. An alternative to plastic and peat, EcoPaper pots are made from 100% recycled North American paper. This is not only a more sustainable material but also is proving to be better for the seedling as it is naturally permeable and porous so roots can breathe; water can soak through; and pots will not become moldy or soggy as in peat or plastic pots. These pots are also completely biodegradable so the entire pot can be placed directly in the soil. This protects the tender root system and mulches the planting site as the pot naturally breaks down. About Clovers Garden: In 1957, Robert Kuehnle, Sr., began selling plants at his neighborhood grocery store on the south side of Chicago. Now run by his grandson, Jim Kuehnle, Clovers operates stores throughout the Chicagoland area, in addition to an online store selling hard-to-find and unique garden plants and products. They have established a reputation for unsurpassed excellence and customer service.